Property developers have continued to show signs of their hunger for sites despite warnings from the Singapore government that the property market may be overly exuberant. 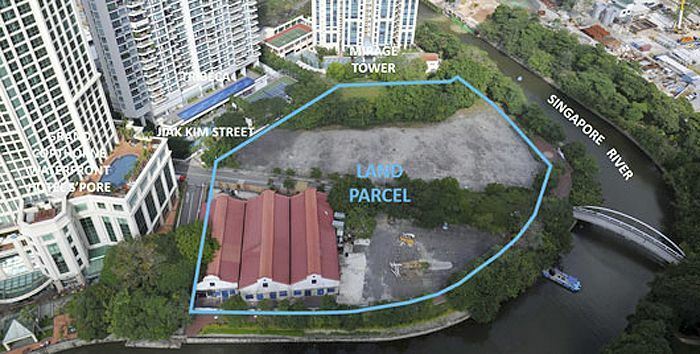 In the latest Government Land Sales (GLS) tender, Singapore-listed property developer, Frasers Centrepoint Ltd (or FCL) have topped 10 other bidders for the 145,120 sq ft mixed-use site at Jiak Kim Street (the former ground of Zouk) with its $955.41 million (or $1,733 psf ppr) tender – edging 2nd placed Hong Leong Holdings & Hong Realty by a mere 0.6%. The Jiak Kim Street GLS site was initially being placed on the reserve list under the GLS programme and was made available for sale after receiving a minimum triggering bid $689.4 million. The top bid from FCL has set a record for the highest ever land rate attained for both a pure residential site & residential site with a commercial component on the 1st storey under the GLS programme. In addition, it was noted that the bid was 39.9% higher than what GuocoLand previously paid for the land parcel at Martin Place back in June 2016, which is currently being earmarked for the development of Martin Modern condo. Backed by its excellent location, the limited supply of sites for redevelopment in the area and based on the average selling price of $2,343 in Oct 2017 at Martin Modern, FCL is likely to price the new launch at Jiak Kim Street for another 6% to 7% higher, according to analysts. On the other hand, Allgreen Properties is also set to bag the land parcel at Fourth Avenue with their top bid of $552.96 million (or $1,540 psf ppr), beating 6 other property developers in the tender. The Fourth Avenue GLS site was placed under the reserve list of the GLS programme and was triggered for sale with a minimum bid of $450 million received back in October 2017. The seemingly high land rate of the top bid for the Fourth Avenue site has, in fact, been dwarfed by the earlier benchmark price set by Allgreen Properties itself – by its acquisition of Royalville along Bukit Timah Road (for a land rate of $1,960 psf ppr) via a collective sale. By looking at the land tender exercise for both sites, market watchers said that local developers are still continuing to remain confident in a recovering property market and are showing no signs of slowing down by outbidding their foreign counterparts to these sites.